We did it! Our first family vacation, just the three of us: me, my 9 month old son, Luca, and my husband, Lu. 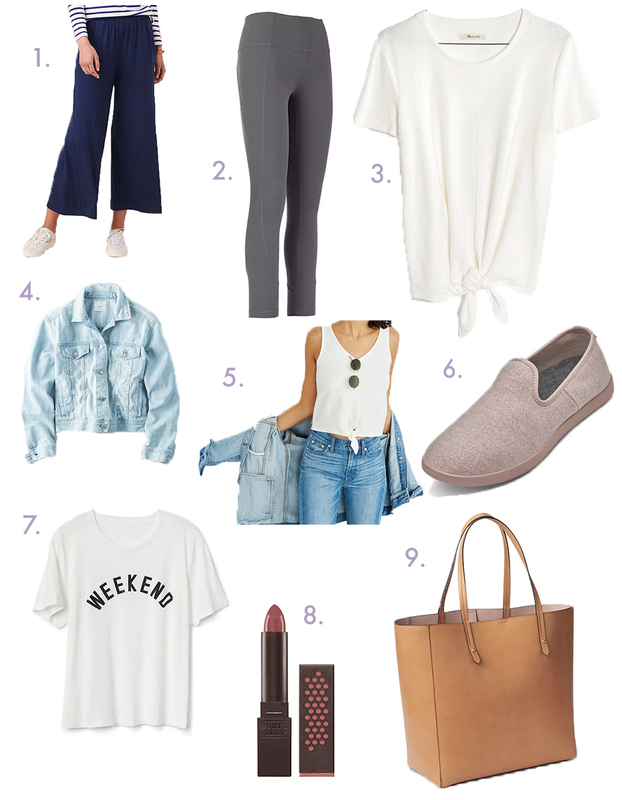 The trip was everything we hoped it would be and more – and we packed (almost) perfectly! And I’m going to share with you what we packed, what we should’ve packed, and what we packed but didn’t need to have packed. Luca was 9 months old at the time of this post. I’m a breastfeeding mother, and thus, I didn’t bring any bottles with me and I don’t need formula. I also nurse my son (since I work from home), so I don’t need an abundance of frozen milk, so I pumped and dumped while on vacation. If you need formula, bottles, etc, you obviously need to add those appropriate items to your packing list! We stayed at a hotel without a kitchen. We didn’t stay at a house, so we didn’t have access to a kitchen. We chose our hotel around the type of trip we wanted. We didn’t want to go to a massive hotel with an elevator, standard hotel rooms, etc. We wanted to be able to walk out our front door and be on the beach, so that we wouldn’t be stuck on a tiny hotel balcony or in the room. We didn’t want to have to walk through a large property to get anywhere, we wanted everything quick and accessible. We researched dozens of hotels and finally landed on The Cove Eleuthera, for their Ocean Front Master Cove Suites, which are literally, steps from their serene beach. IMPORTANT: We used a Nest cam as our baby monitor. We wanted to be able to be outside by the beach (literally almost the same distance from the baby’s room to our room at home) while the baby napped (per my point above), so the Nest cam came in handy, because it’s Wi-fi enabled, so it can be used without a “reach” limit (for example, many cameras disconnect after moving a certain distance from the monitor itself.) HOWEVER, there was one day when the WiFi was spotty, so in retrospect, we wished we brought a regular baby monitor for backup. Contact the hotel and see if they have an infant car seat for use so that you don’t have to pack one – they did and we arranged them to have it in the van that they picked us up at the airport in. We also arranged the same for when we left. Ergobaby baby carrier – we actually forgot this (and survived), but it’s an essential for airport travel and would’ve been nice for some of the walks we took around the hotel property. Babyzen YOYO stroller – LIFESAVER, especially since we forgot the Ergobaby. So impressed with this stroller and it was great to have with our travel layovers, etc. You can bring this as a carry-on! 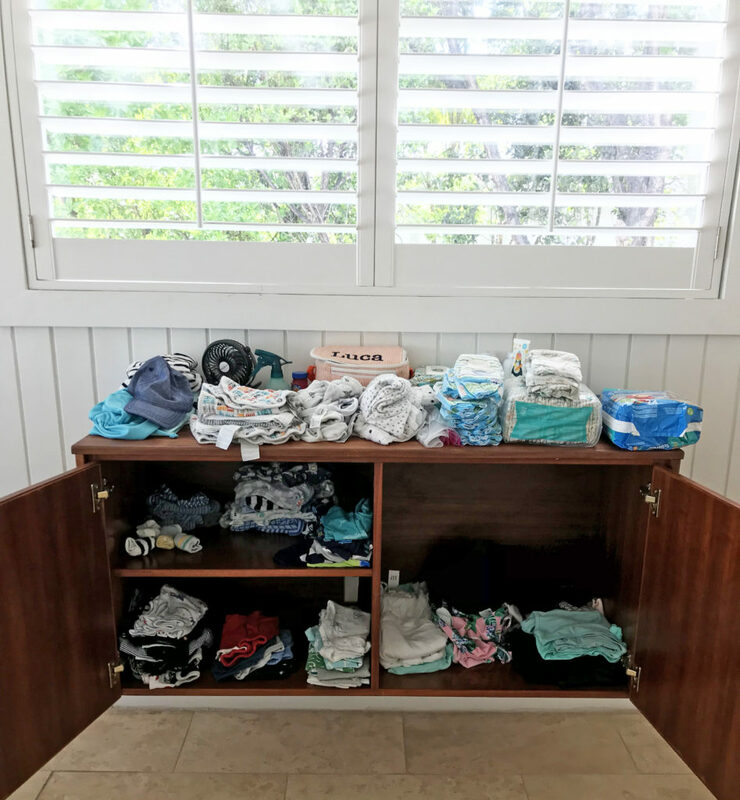 2-3 baby bathing suits – we brought 3 and used them all, it was nice to have backups (and our favorites are the ones that are top and bottom separates for easy diaper changes.) Love this one. Long sleeve rash guards for extra protection from the sun! 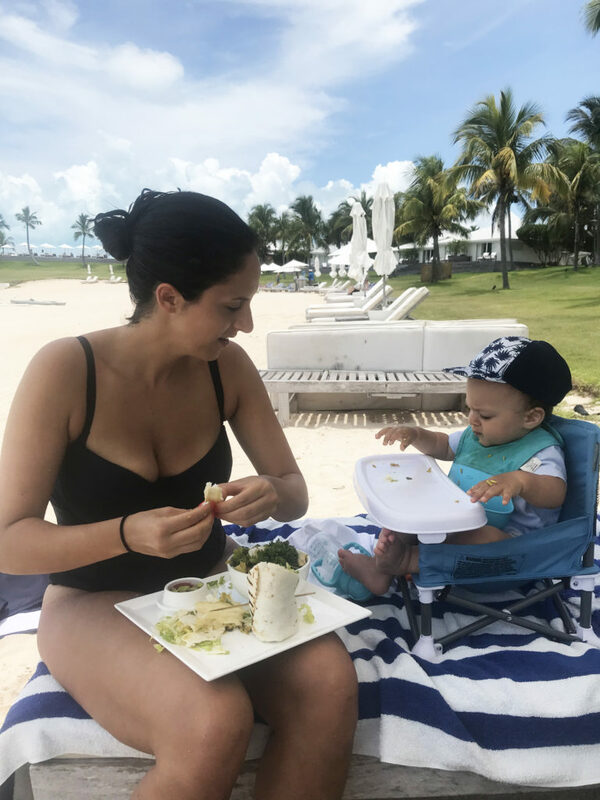 Travel high chair – it let us eat on the beach together! 1 cup for drinking water – whatever you use, we used this one, but this one is amazing if your baby’s ready for it. Clothes – we packed 2 outfits per day (one for morning breakfast and one for dinner) and that’s all we needed, since we were on the beach all day and we’d reuse the morning outfit for him to sleep in during day naps, but if you want to be extra safe, you could pack 2.5 outfits (in case of accidents, etc.) We packed mostly tank top one pieces and he lived in those. Diapers – bring more than you think you’d need. We brought 32 diapers and it was enough, but we were down to 5 the last day and got nervous! Babies poop more when they’re eating foods they’re not used to, I found out! 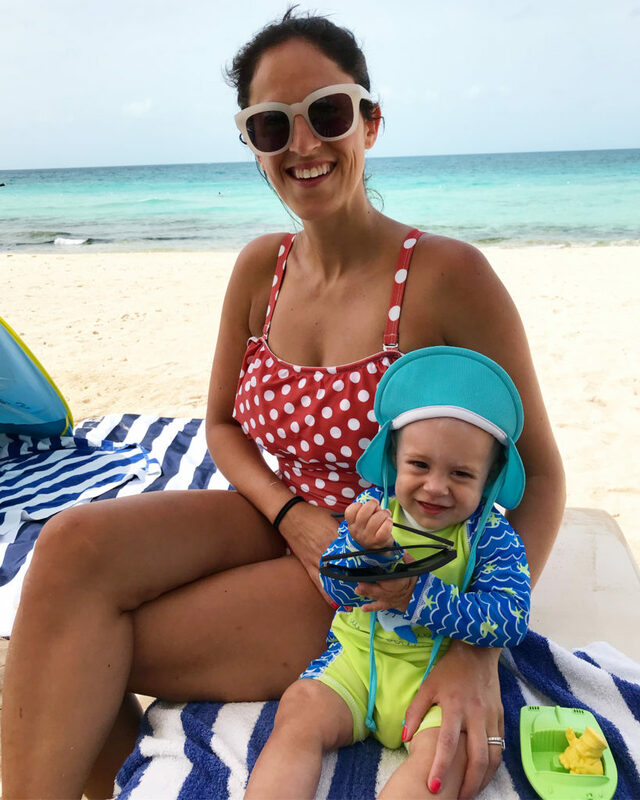 Swim diapers – we brought these disposable swim diapers, but per my note in “Wish we would have packed” below, I would bring two reusable diapers next time instead. Beach tent – I can’t recommend this tent enough! It shaded Luca perfectly and it has an area that you can turn into a pool, but we didn’t use that feature. It stayed up in the wind and was easy to assemble/breakdown and fit right in our checked luggage. Shampoo/body wash – we brought a travel sized one from Babyganics and it was more than enough. We bathed Luca in the shower with us every night! Insect repellant – we love the Babyganics and ZOE Organics brands. Baby moisturizer – so important! He was in the water a lot and it would’ve easily dried out his skin if we didn’t moisturize him at night. Love Babyganics. NoseFrida and oogiebear – for boogers and runny nose! Bottle soap – we used this for his pacifiers, eating utensils, water straw cup, my pump bottles, etc. Baby Tylenol & ear thermometer – so happy we had this, he got a 102.7 fever while on vacation and if it wasn’t for Tylenol, we would’ve been in trouble! 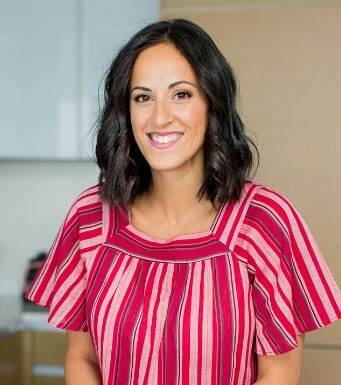 Babyganics hand sanitizer – many people pass through hotels, this is great to have on hand for yourself at the restaurants! Wipes – MORE than you think you need. We brought 3 full packs and used them all! Toys – we packed a little beach-friendly nylon bag of toys for the beach – just stuff from home that we know would work well on the beach like balls, some of his bath toys, music toys, etc. We also bought a brand new packet of beach toys (shovel, bucket, etc) which was nice to use in the sand with Luca. Beach blanket – we love this one because it’s huge, sand comes off easily, and it rolls up well (we use it at home too) – this was great because we’d put it under the entrance to the tent that we’d put Luca in so we could lay on it and play with him and if he crawled out of the tent, he could crawl on the blanket. Snacks/food in case the airport doesn’t have anything you can give him (again, per my preface above, we do BLW.) 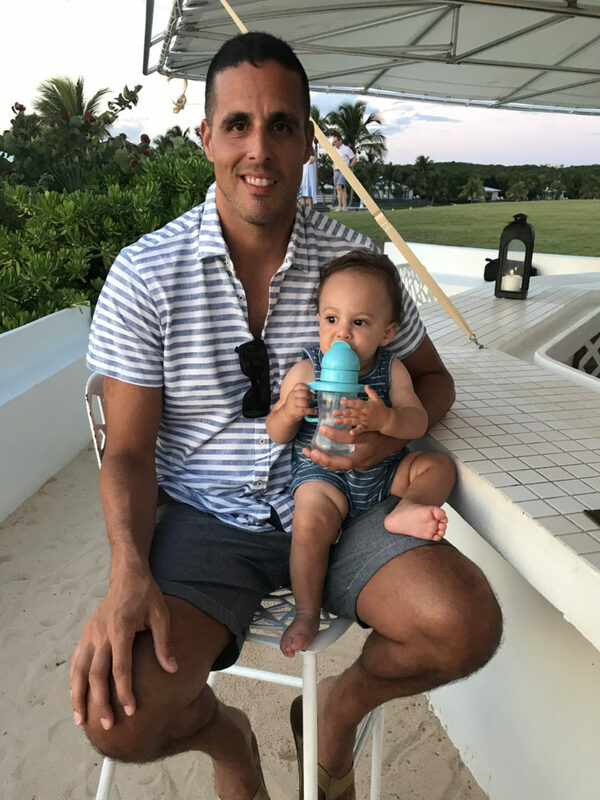 These also come in handy once you’re at the resort to give the baby as “appetizers” while you’re waiting for the food to arrive or again, if there are limited options on the menu. 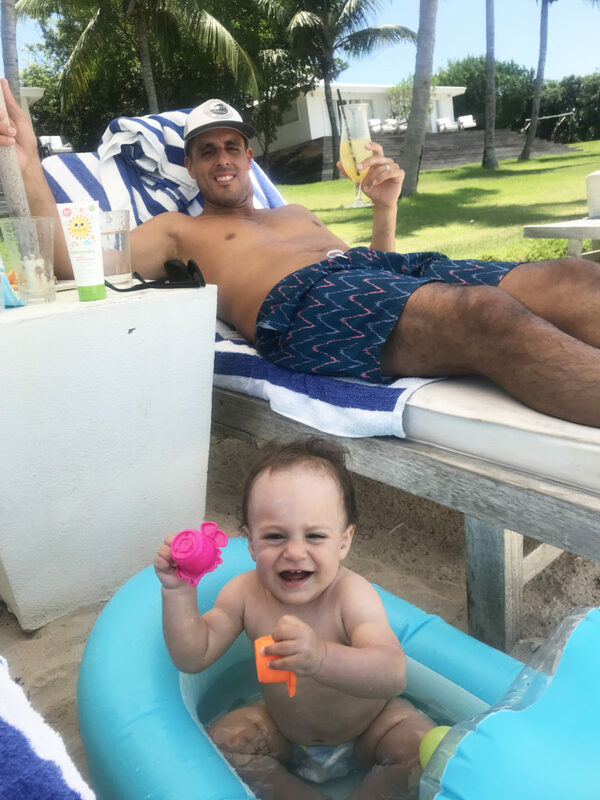 Inflatable tub – this isn’t absolutely essential, but it was SO nice to have – he loved splashing around in it next to our beach chairs and we floated him in the ocean in it a little too! 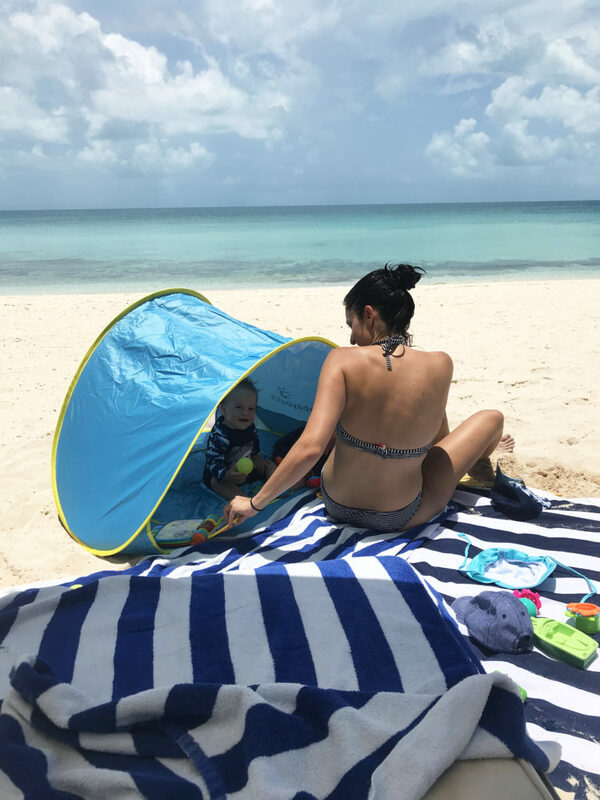 Travel fan – we bought this to put on the stroller but it ended up coming in handy because it was extremely hot and humid in the Bahamas, so we put it in his tent on the beach and it kept him cool – and he loved playing with it! Johnson’s baby powder – someone told me this helps get sand off and it’s SO true, makes it so easy to get sand off the hard parts, too. Baby shoes – he barely wore socks, only in the airport! This mesh bag we bought. 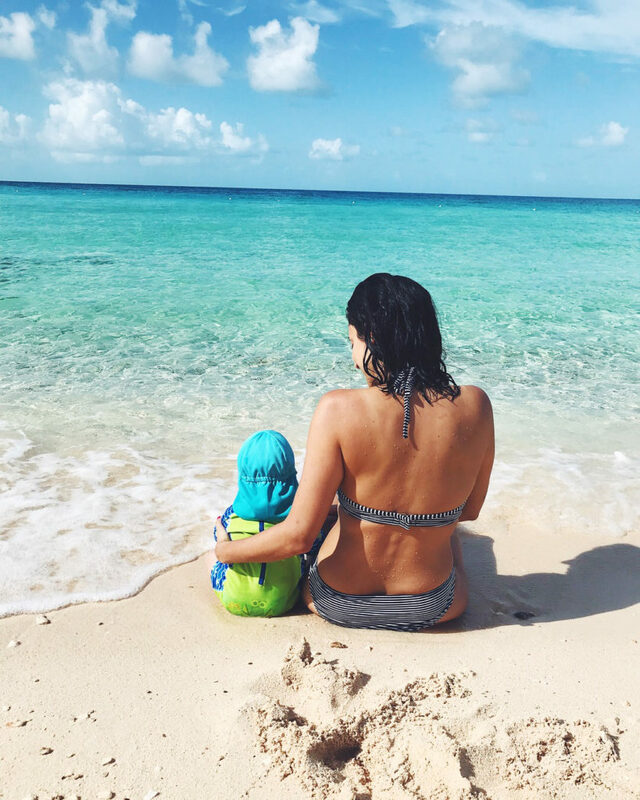 Reusable swim diaper – we ordered one but it didn’t come in time, so we had to bring disposable diapers and it took up unnecessary room in our suitcase and seems wasteful. We forgot our trusted Ergobaby! It made airport travel very difficult, but luckily we had our stroller. Find a dresser or table where you can lay everything out for the baby. This includes items that you’ll need to grab everyday – like diapers, diaper cream, bibs, burp cloths, etc. Don’t put things away in the closet or in the bathroom (except for applicable items, like shampoo/body wash.) You want the to be easily seen and accessible. Plus, when the cleaning staff comes into the hotel room, they won’t touch that table, since it’s clearly organized for the baby. You’ll be less stressed! Don’t put any of your adult stuff on it, keep it strictly baby! And that’s it! 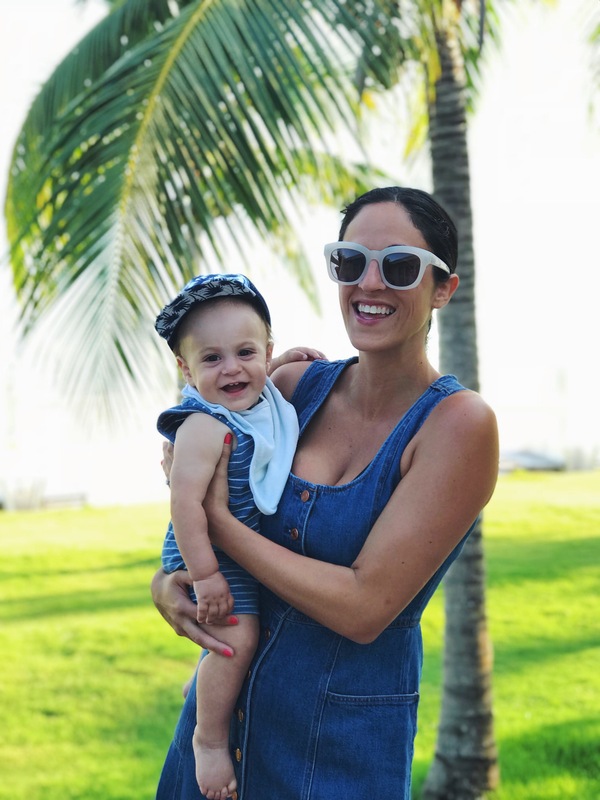 I hope this post is helpful for many of you taking weeklong beach vacations with your little ones! Let me know if you have any questions in the comments below, and I’d be happy to answer them! Love this post! LookinG for the link to the beach tent ⛺️ So i can order it for our beach trip. So many random ones on amazon, wanted to get one i can trust. Thanks! We checked two large suitcases and 1 carry-on suitcase we checked, just because we didn’t want to have to lug it around! ALI, i’VE READ MIXED REVIEWS ABOUT THE COVE. ANY INTEREST IN SHARING YOUR PROS/CONS? What have you heard? I can help that way! I have nothing but positive comments! Hi.. i am happy to stumble on your post as i am going yo the cove AND packing for a 7 month old in a few weeks.. does the cove have standard electrical plugs?? Can you link the tent? Thanks! Hey Ali. Great post! Where did you get that personalized Toiletry bag for luca? My brother recommended My spouse and i would like this website. He was totally right. This post truly made my day. You can not imagine simply how much time I had developed put in for this info! Thanks a lot! Will you be updating this after your last trip? I am taking my 15m on a 9 hour direct flight to Hawaii next week. Would love to hear any in flight entertainment tricks that worked for you since this is such a squirmy active stage for our littles! Also, did you end up using the life vest this time around since he is on the move or did you skip? Thanks!! I did use the life vest when we went to Turks and Caicos for Thanksgiving, because I knew we had a boat ride planned! I’m glad I brought it! And as for “tricks” – plan the flight around his nap, try to book the bulk head so he can play on the floor in front of you, download any shows he/she watches (Luca only watches Sesame Street right now, so we downloaded Sesame Street), bring snacks, and bring a new toy that he’s never seen before and only whip it out when you really need it! That’s about it. 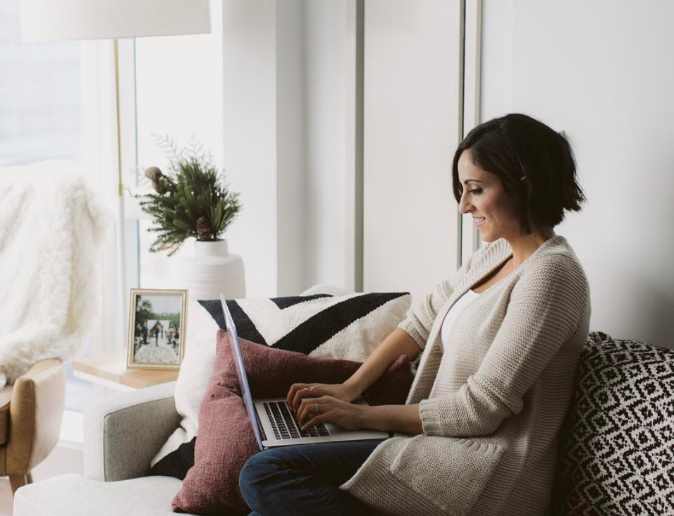 This is a super helpful post! I’m starting research for a Caribbean vacation with my husband and baby. I’m curious- did you find any other great resorts in your search? Thanks!